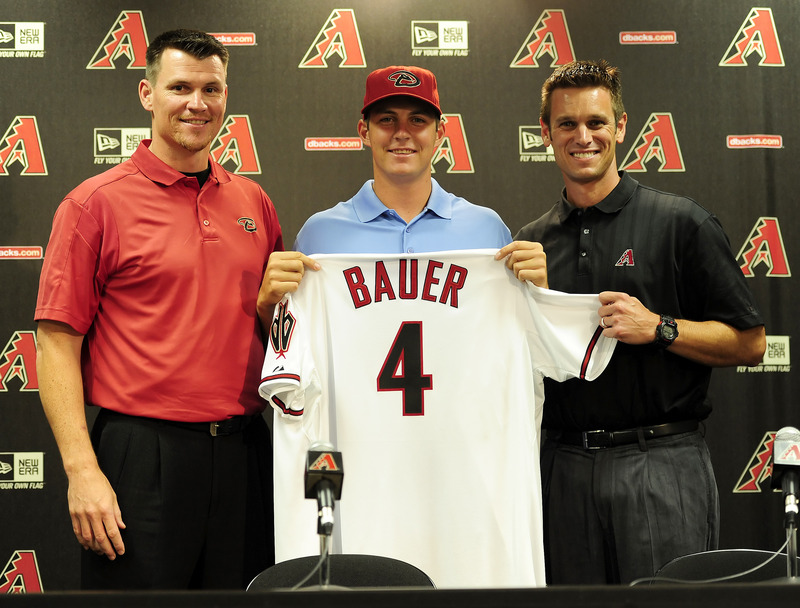 The future of the Arizona Diamondbacks got even brighter on Monday afternoon when the team announced the signing of first-round draft pick Trevor Bauer. The 2011 Golden Spikes winner inked a Major League contract with the D-backs, and will report to High-A Visalia for his professional debut this Saturday. Since Kevin Towers was named General Manager of the Arizona Diamondbacks a little less than two weeks ago, he’s been quite clear about his desire to build a winning philosophy immediately. Those changes begin at the executive level and the coaching level, bringing in people who can create an atmosphere of high expectations. The steps toward building that culture in 2011 began Monday, when the D-backs announced that Kirk Gibson was retained as Manager on a full-time basis, and Jerry Dipoto — who was a finalist alongside Towers for the G.M. job after serving as interim G.M. — is being retained as Senior Vice President, Scouting & Player Development. Addressing the move to take the interim label off Gibson’s title, Towers referenced the similar philosophy the two of them share in building a ballclub, particularly citing Gibson’s history as being a winning player. The D-backs were 34-49 under the tenure of Gibson as interim Manager, but showed significant signs of moving in the right direction even in that short time. The club swept the San Diego Padres in a three-game series at Chase Field Aug. 30-Sept. 1. The Padres then went on to lose the N.L. West division title by one game. The D-backs also swept the Colorado Rockies in three games Sept. 21-23, as the Rockies began to spiral out, losing 13 of their last 14 games to knock themselves out of the race. Gibson also talked philosophy, particularly pushing the D-backs to become a more aggressive club. While Gibson stressed aggression with the team to some degree in his three months as skipper, he plans to use the offseason and Spring Training to fully implement his plans. Among the first will be the way the team practices, which will be at full speed almost immediately. “We’ll have simulated situations (in Spring Training),” Gibson said. “I’ve written down all of the good and all of the bad in every game that I have managed so far. We’ll recreate every one of those situations. It will be live. We’ve done a lot of practicing in the past at half-speed, quarter-speed. That’s great for the first couple of times, but when we get in shape, we’re going to practice at full go. That’s how it happens on the diamond. We’ll practice all of these plays that we didn’t execute and we’ll be better prepared to handle pressure much better, and we’ll be better prepared to pressure others. Dipoto made some key changes to the organization in his three months as well, notably acquiring a package that included Joe Saunders and a pair of premier left-handed pitching prospects for Dan Haren, and acquiring Daniel Hudson from the White Sox in exchange for Edwin Jackson. Hudson was nothing short of brilliant, going 7-1 in 11 starts with a 1.69 ERA. He struck out 70 batters while walking just 16 in 79 2/3 innings. For comparison, that strikeout-to-walk ratio (4.38) if spread over a full season, would have been second best in the National League behind Philadelphia ace Roy Halladay. Dipoto decided that the opportunity to help build a winner in Arizona was the most appealing option for him this offseason, and said he looks forward to helping Towers get there. That future — perhaps as soon as 2011 — should include the promotion of a group of excellent prospects in the D-backs’ farm system. The D-backs also announced Monday that First base coach Matt Williams and bullpen coach Glenn Sherlock have been retained for 2011. Third base coach Joel Youngblood accepted a position in the organization’s minor league system while pitching coach Mel Stottlemyre, Jr. was offered the opportunity to stay in the organization in a different capacity. Hitting coach Jack Howell and bench coach Bo Porter were not retained. Justin Upton is listed as day-to-day with a strain of his left (non-throwing) shoulder. Upton underwent an MRI on Tuesday, at which point D-backs team doctor Michael Lee informed interim General Manager Jerry Dipoto that there was indeed a strain. Dipoto said the strain dates back to a shoulder injury in 2007, which itself may date back to the outfielder’s amateur days. 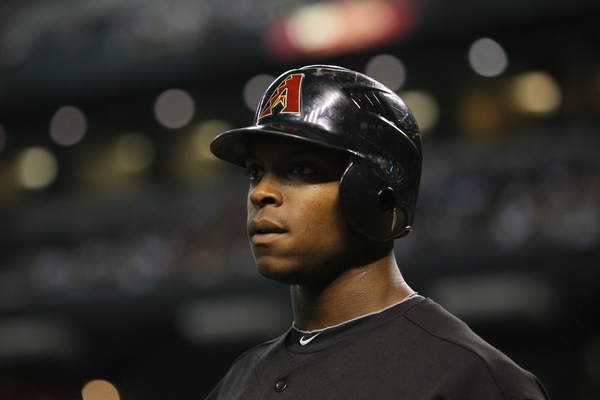 Upton’s timetable for return is uncertain, though it appears unlikely he’ll be returning in the immediate future. Dipoto said Upton is currently working on a strength program with the D-backs’ conditioning staff.